Mike Avenaim | Real Drum Track Now! The Absolute BEST Drum Tracks For Your Songs! What Is “Real Drum Tracks Now” Drum Recording? Whether it be in the studio or on stage, his experience as a drummer, musical director and multi-instrumentalist have taken him to Europe, Asia, South America, North America and Australia! Artists: Mike has recorded and toured with artists such as: Emblem3 (SyCo Records), Scott Weiland (Stone Temple Pilots) Troy Harley (Dream Merchant 21), Colby O’ Donis (Grammy Award Winner), Rai Thistlethwayte/Sun Rai (Thirsty Merc), Reece Mastin (X-Factor Winner – Sony Music Australia), Casey Donovan (Australian Idol), Danielle Blakey (2011 NA2R Winner), Porcelain (Universal/Motown) amongst many others. 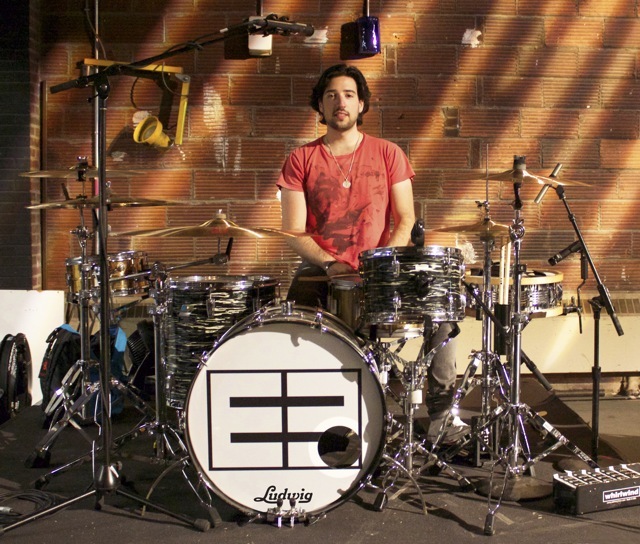 Notable: Mike has a huge arsenal of drums ranging from vintage to modern. This will allow you to hone in on exactly what you’re hearing for you track. Pingback: Real Drum Tracks Now Trailer | Real Drum Track Now! Pingback: 5 Questions with Drummer Mike Avenaim | Real Drum Track Now! Pingback: “Good Vibrations” Web Series at DrumMagazine.com | Real Drum Track Now! Hiring a drummer, engineer, and studio is as simple as clicking the button below!